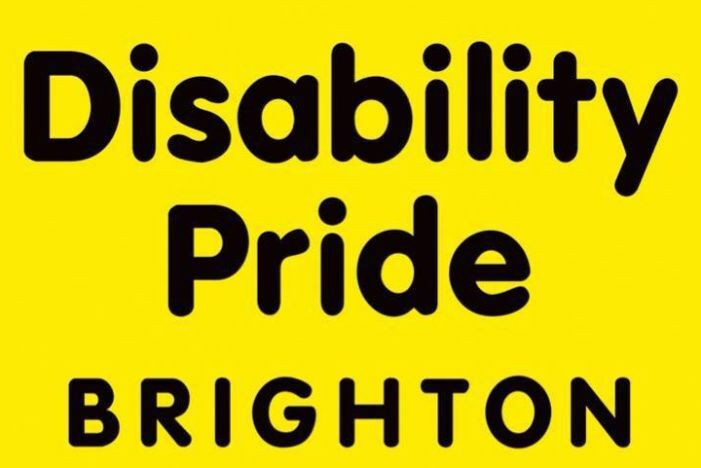 Brighton is obviously well known for its inclusivity and to reflect this the city will be holding its second annual Disability Pride Brighton festival on Saturday 14th July 2018 on Hove Lawns from 12:00 noon to 19:30. The event is organised to raise awareness of the diversity and value of disabled people with all (visible and invisible) impairments or conditions and is organised by a diverse committee of disabled people. Disability Pride Brighton was the first Disability Pride event in England and held its inaugural event in July 2017, attracting over 2,000 attendees. It was started in response to a disabled discrimination incident in a central Brighton pub involving organiser Jenny Skelton’s daughter. This year’s event will begin with a short parade along the promenade at 11:30, led by the Unified Rhythm carnival band, which has over 80% disabled members, after which the event will be officially opened. Throughout the day, there will be live music acts, performances, and speeches plus stalls from organisations who offer support or activities to local people and families, friends, and carers who are part of this diverse community. Disability Pride Brighton is not a specific event only for the disabled LGBTQ+ community. All disabled people and allies, with any identity and background, are welcome. Disability Pride Brighton is part of a wider movement of other international Disability Pride organisations. You can find information about on-site facilities and access, transport to and from the event, performers, artists, supporting organisations, and other useful information about participating, here and here.